Home » Latest Buzz » Vikram's Deiva Magan Shooting in Russian Cultural Center !!!! Vikram's Deiva Magan Shooting in Russian Cultural Center !!!! Vikram's Deiva Magan Shooting in Russian Cultural Center !!! 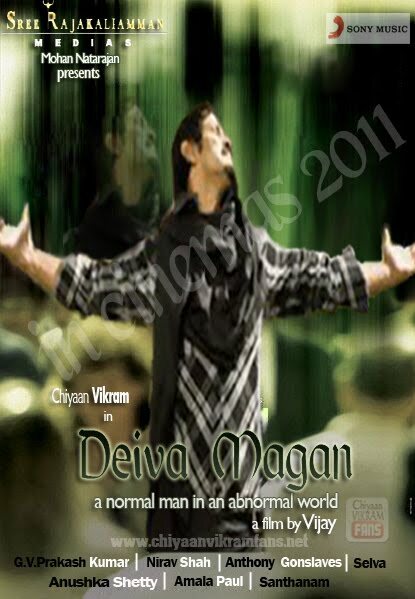 Vikram’s next film, tentatively titled as Deiva Magan, which is being directed by A.L Vijay is going at a good pace. The shoot happened at an auditorium at the Russian Cultural Center located at Alwarpet today (29-01-2011). Scenes involving Vikram, Amala Paul, Mumbai-based child artist named Sara who plays the role of Vikram’s daughter and several supporting characters were canned. The next schedule of the shoot is to happen in Ooty. This movie is said to be an inspiration of the English film I am Sam that starred Academy Award winning Sean Penn. The movie also stars Anushka in an important role.